Silayio is no newcomer to the scene. With an AGMA nomination at 18 and a KORA award win at 20, she has earned her stripes as one of Kenyas leading female vocal performers. And now after several years touring the globe (NL, Germany, Belgium, Denmark, The US, Canada and many more on the motherland), two albums under her former brand Neema Ntalel, one on the way and fresh off her stint at the Voice of Holland where she finished 7th among 110 contestants, she is bringing the magic home to Thursday Night Live. 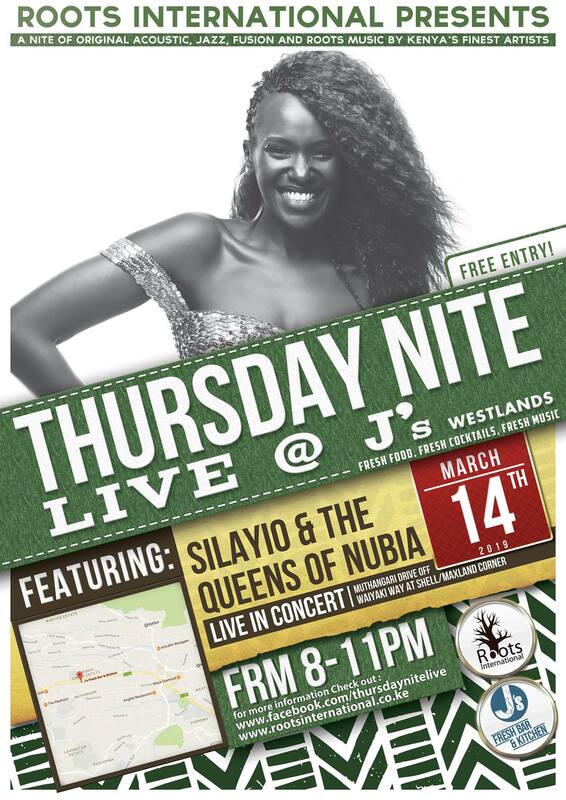 Join her and her all Kenyan all female band Queens of Nubia this 14th Of March for a good time not quickly forgotten!